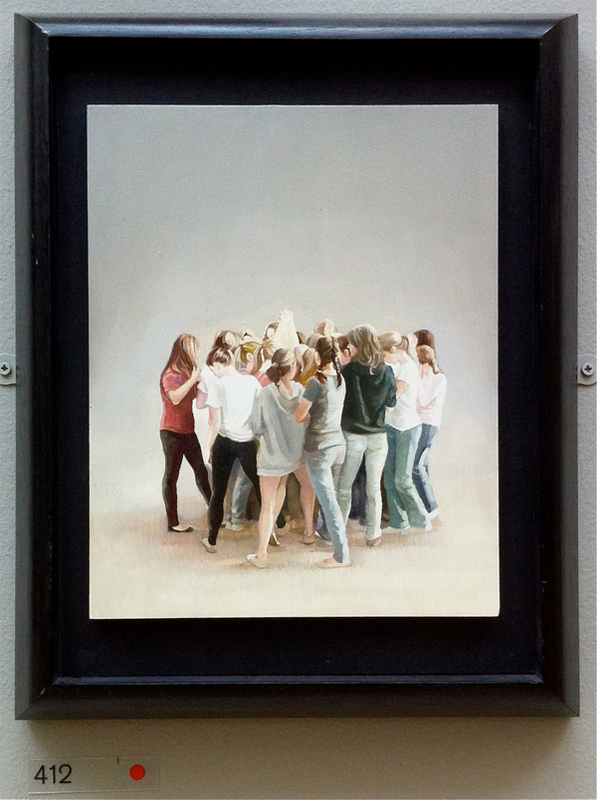 Grace O’Connor’s Huddle in the Royal Academy Summer Exhibition. Grace O’Connor, an online instructor who teaches fashion illustration, has had a painting accepted into the Royal Academy Summer Exhibition! The Royal Academy is an art institution in London, that has been promoting the creation, enjoyment, and appreciation of the visual arts for over 200 years. Each year, artists submit their work to be considered for inclusion in the Summer Exhibition, one of the most prestigious shows in the city. Grace’s painting, Huddle, was not only accepted into the exhibition, it was sold at the private preview event before the exhibition had even opened. Grace was kind of enough to talk to us about the experience! What materials did you use to create the piece? The painting is oil on wood. 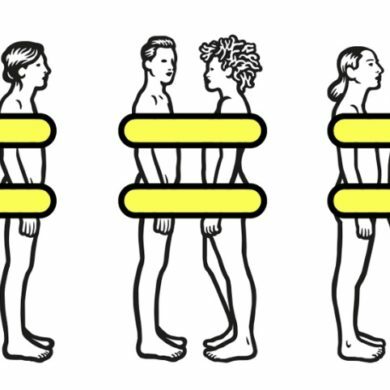 What was your reaction when you found out it had been accepted into the Summer Exhibition? 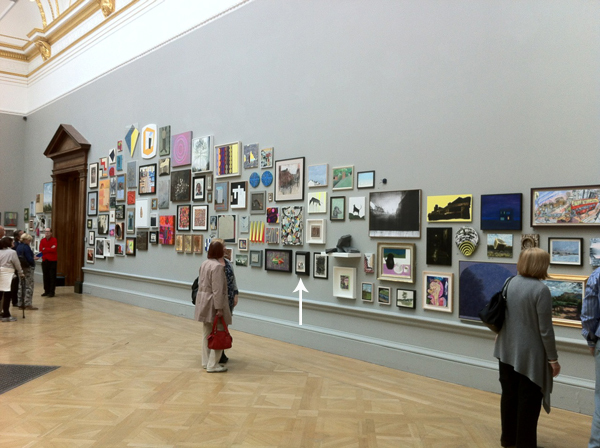 I was happy to be chosen as the competition is so fierce-but happier to see that the painting was hung in a wonderful spot by Tess Jaray, Royal Academician (RA). What are some of your other favorite works included in the exhibition? 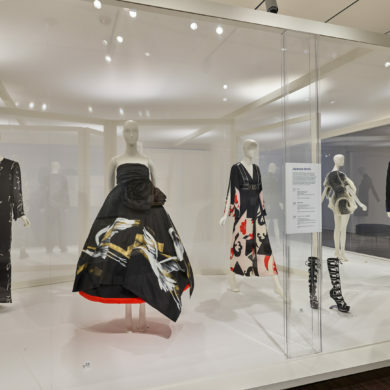 The exhibition is tremendous – a very different hanging style to previous years Summer Exhibitions. It has a more contemporary look which the show has been in need of. There are some amazing pieces by RA’s such as Timothy Hyman and Maurice Cockrill, as well as a few poignantly gorgeous pieces by John Hoyland, RA who sadly passed away recently. I am at present working towards an exhibition later in the year at the Paul Stolper Gallery in London.